Autumn and getting green once more! Well, it certainly has been a hot Perth summer, but autumn has finally arrived and with the cooler weather the plants are recovering. We have loads of pears, guava, citrus and apples growing at the moment. 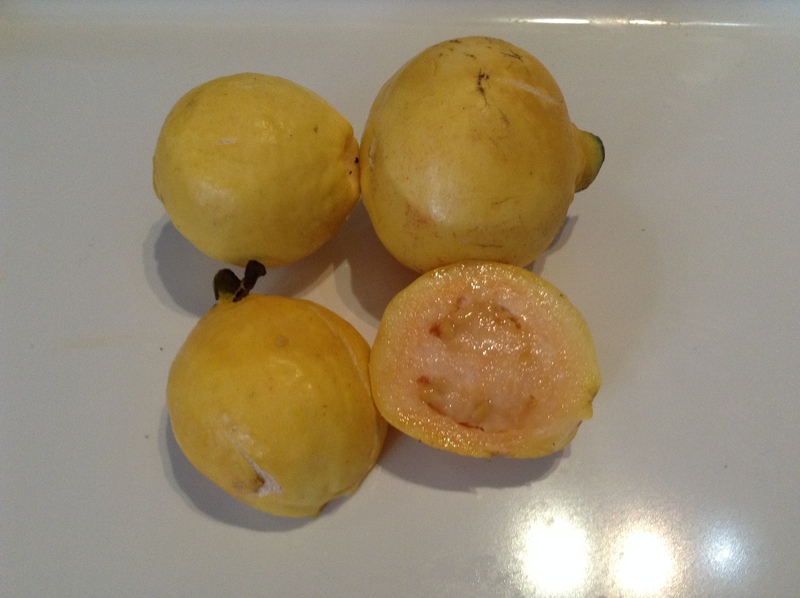 This is the first year we have been able to pick guava, and they are delicious! We also have had a huge amount of honey from our busy bees- the shelves were full of jars of honey and we did another harvest a couple of weeks ago. This is a 20 litre bucket! 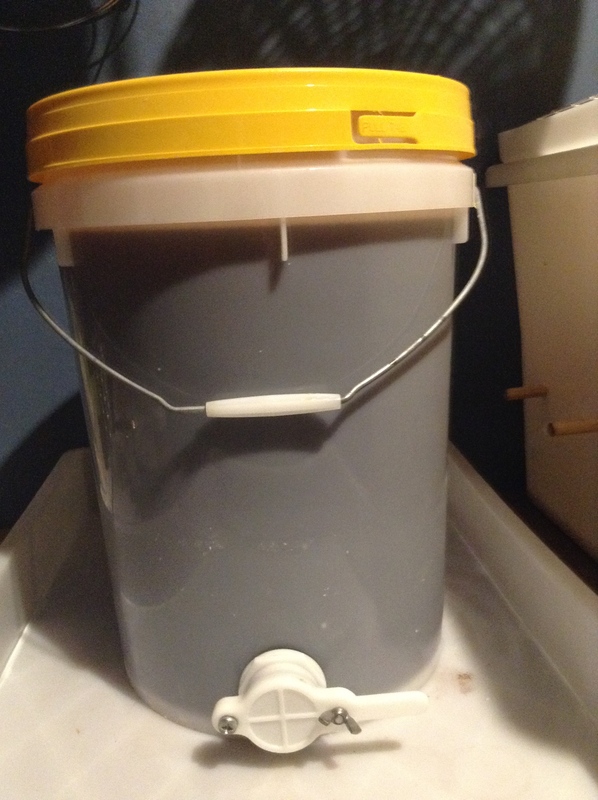 20 litre bucket of honey- second harvest this year! 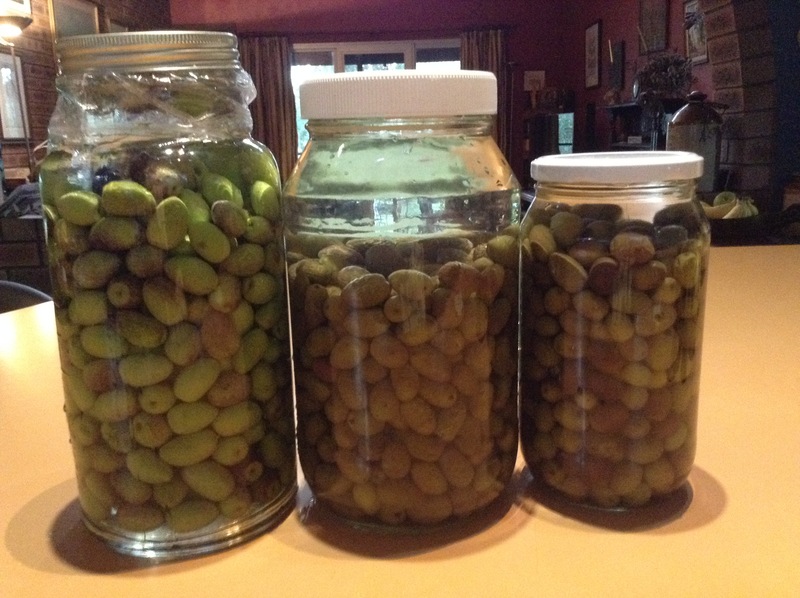 Our olive trees have also fruited this year, much better than the dozen or so olives we harvested last year!! Enough to fill a couple of 2 litre jars. These are soaking in water, changed daily for 2 weeks. Next comes the brine solution which they will sit in for a year- such a long wait!